In a previous article we explained the Rebirth of the end-time Judah and it became apparent that it referred to the Jews who took on the mantle of Historical Israel, after this Northern Nation (the 10 Tribes) were expelled from Samaria and destined never to return again as a circumcised nation. So let us make it clear that in this article we refer to them who eventually became the Christians. We tracked their historical path a few times in these articles, but just to refresh our memories let’s put it in a nutshell: They went with their father Jacob into Egypt, grew there into a fledgling nation constituted from twelve Tribes and called Israel. They departed again from Egypt in the Exodus under the leadership of Moses and settled the Promised Land under Joshua. Initially they were led by the Judges, but later by kings, first by Saul then followed by David and succeeded by his son Solomon. After the death of Solomon the 12 Tribes split into the southern state of Judah comprising Judah and Benjamin and the rest of the 10 Tribes formed the northern state called Israel. After some time Israel was permanently exiled from their land as well as from belonging to the Covenant of the Circumcision and actually became “Gentiles” and counterparts of the Jews. In Jer.31:31-34 the Lord promised a “New Covenant” for Israel and that was confirmed by the Holy Spirit on Pentecost in Jerusalem. Heb.8:8-12 confirms Jer.31:31-34 and that it actually happened. Under this New Covenant they became the Christians. While the Jews were guided down the Avenue of Time by the Azazel Calendar, the Christians were led by the Paraklaytos on a very deficient Roman calendar. Like their counterparts, the Jews, their path was also strewn with more thorns than roses. The Roman Catholic Church with their succession of Popes assumed the role as Leader. Later, this single Body split into two separate Churches, forming the Eastern Orthodox Church and the Western (Roman) Catholic Church. On October 31st 1517, Martin Luther started what became known as the Reformation. This Reformation again split into many smaller streams and together with many other streams branching out of the Roman Catholic and the Eastern Orthodox Churches they formed the numerous Denominations and Sects currently present in Christianity. But be it as it may, although Christianity currently looks like a giant human body dissected into all its different parts, it is still a Body; it is still the 10 Northern Tribes arriving into the 21st Century as one Body and as one of the 12 Tribes of the Eschatological Israel, albeit under a new flag. There are just two things that must happen to them to come officially into the fold of the End-Time: The first is their Rebirth into the End-Time, and the second is to be Baptized in order to “have the reproach of Egypt rolled away from them” and thus to renew the Covenant with God. In the follow-up article we will discuss this Baptism. In this one we will have to stick to the Rebirth. Like Judah had a Rebirth into the end-time on a pre-set time, Christianity was also born into the end-time, also on a predetermined time. Judah’s rebirth was bloody and traumatic; the rebirth of Christianity was also accompanied by fire, blood and trauma. It happened on the fateful day of September the 11th 2001, when America was attacked right in her backyard. 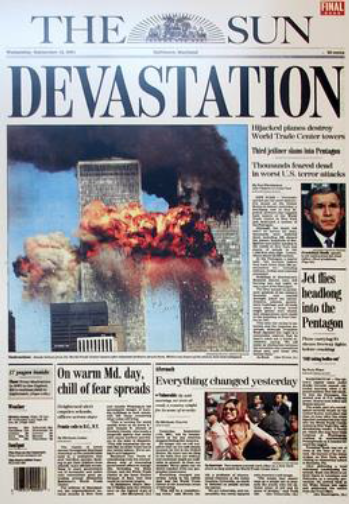 Like the Jews were completely taken by surprise by the events on Yom Kippur, 1973, America and the rest of the world were no less surprised by what happened on September 11, 2001. 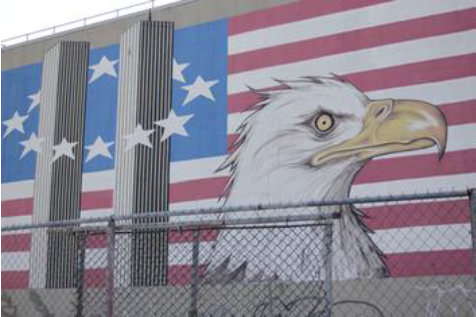 In this article we are going to take a look at 9/11 from three different angles. We are going to see how two Bible prophets and one very well-known extra-Biblical prophet predicted this sad experience, and how we can discount the claims that this was a total piece of human engineering. They are the Prophets Isaiah, Ezekiel and Nostradamus. Isa.30:25 – “And there shall be upon every high mountain, and upon every high hill, rivers and streams of waters in the day of the great slaughter, when the towers fall….” This was the verse that my mind was taken to on that fateful day of the 11th of September 2001, after I watched in astonishment how the Twin-Towers fell in New York. My whole spiritual being was dragged into the pages of the Bible searching for some higher Hand behind these atrocities, someone who could use humans like puppets to execute what was written in the predetermined history for humankind. This verse was coupled to another one that haunted me from 1985: ”Moreover the light of the moon shall be as the light of the sun, and the light of the sun shall be sevenfold, as the light of seven days, in the day that the LORD bindeth up the breach of his people, and healeth the stroke of their wound.” (verse 26) I just knew that verse 26 somehow tells something about a catastrophic event that would take place sometime after the turn of the millennium, because this verse is again coupled to a similar sounding verse in Hos.6:2 – “Come, and let us return unto the LORD: for he hath torn, and he will heal us; he hath smitten, and he will bind us up. After two days will he revive us: in the third day he will raise us up, and we shall live in his sight.” The “after two days” made it easy to compute the time very roughly, because these two prophetic days amount to about 2000 years (Ps.90:4) and that would mean just about the year 1999/2000 on the Roman calendar. To pinpoint the correct date, one has to make use of the Prophetic Calendar. Now this calendar is just there for the benefit of one single Person: Jesus, the Christ of the Aion. This prophetic year is made up of 12 months of 30 days each, which equals 360 days. (cf Rev.11:2-3) This calendar is not synchronized to any other calendar, because all it does is show the dates of the comings and goings of the Greatest Prophet. Now this calendar starts at the birth of Enosh. Please take note that this is NOT the Enosh mentioned in the genealogical calendar of Gen.5. (see the JOJAKIN CALENDAR) The years between the fathers and the sons of that registers tells us that the actual relationship is much further down the line, with the normal succession being about 20 years from the one generation to the next. This was now the actual son of Seth, son of Adam. He was born in the year A64 (4935BC) on Pentecost, which fell on the June 30/July 1. Exactly 1800000 days, or 5000 prophetic years later, Jesus Christ was born on Yom Kippur, which fell on the 24/25th September, of the year A4992 (8BC). Then the Prophetic Calendar paused for the whole lifetime of Jesus on earth and resumed again on Shavuot of the year A5030 (30AD), Sunday the 25th of May. 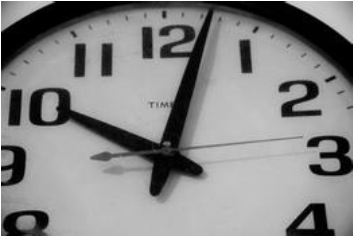 Then the prophetic clock ticked the days off again, until the 720000th day (2000 prophetic years) which was Monday September 10, 2001 when time on this calendar quietly came to a pause again at sunset, Jerusalem time. Then all hell broke loose as the planes struck the 2 towers of the World Trade Centre on the day of September 11, 2001 (A6991). The grounds where the WTC stood became known as Ground Zero, but how very ironic, because September 11, 2001 is actually the start of Day Zero, a period when the Prophetic Calendar came to pause again, although this time for the sake of synchronizing this calendar with the rest of the calendars who all conclude in the Great Jubilee of the year A7200 (R2210). This synch is discussed in greater detail in the Jojakin Calendar. Unbelievable? Sure! But hold on, we are going to look at this atrocity from two more angles. Now I must say that the author here certainly had a sniff of the right tracks. New York is in the picture, though the ‘new city’ is rather a reference to the world as a Global City, with the USA as its main ‘Suburb’. ‘45°’ also doesn’t refer to a parallel, but to the line of attack. ‘Scattered flame’ is exactly what it says: the attacks are scattered over this straight line. I must also add that this is one of those prophecies that remain locked until it actually occurs, for the simple reason that no prophet is going to spoil any predetermined plans. But let us have a look what Nostradamus must have seen in the vision: You can draw the picture for yourself. Just draw a straight line between the cities of New York and Washington. This line will bypass Philadelphia. 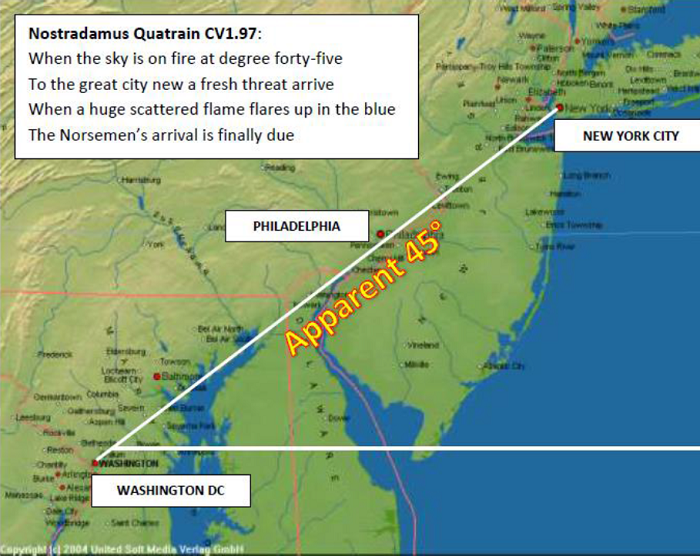 What Nostradamus must have seen was the line of the ‘scattered flame’ at about 45° in relation to the degree of latitude. Isaiah prophesied about this atrocity in just one verse: 30:25. I think he wrote this verse just for the benefit of connecting 9/11 to the Great Tribulation (The Baptism of the Eschatological Christians) (verse 26). I also think he wants to say that the Great Tribulation will occur during the time of Prophetic Calendar suspension, which started on Day Zero. But we have a place in the Bible where 9/11 is prophesied in greater detail: The Book of the eschatological prophet, Ezekiel, in chapter 21. We obviously won’t have the space in this article to expound this chapter verse by verse, but we can at least skim the surface. The king of Babylon is the sword of God’s judgment. Babylon alludes to the state of confusion and division of the present world. Its king is the One that will be revealed shortly, he who will pave the way for the 2nd and 3rd comings: EZEKIEL, aka Antichrist! The road to judgment branches of into two directions (v 18ff) the one is to “Judah and fortified Jerusalem”- that is the isolated (=H1219) Jews. The other road of judgment leads to “Rabbah (=greatest- H7231) of the Ammonites (=people’-H6004)”. This simply means the chief nation in the world during the time of the Destruction Jubilee- the United States of America! The judgment against the isolated Jews had run its course. It went through the Holocaust, the religious wars that started with the proclamation of the independent state of Israel (see v22), and finally, their circumcision in the Yom Kippur War, after which “the reproach of Egypt had finally been rolled from the Jews” (see Jos.5:9). They are no more the historical Jews, but the eschatological Jews, First of the Twelve Tribes of the Eschatological Israel. Let us see where the ‘road to Rabbah’ leads us to. “Ruin, ruin, ruin, I will appoint it. Also this shall not be until the coming of Him whose is the right. And I will give it to Him” (v27). The ‘ruin’ of the SOUTH TOWER, the ‘ruin’ of the NORTH TOWER, and the ‘ruin’ of the PENTAGON. There you are. If a GPS is able to zone in on to three independent satellites you can be 100% certain of your global position. The three independent prophecies of Isaiah, Ezekiel and Nostradamus should also verify to us exactly where we are regarding the predestined chronology of the world. There are a lot more to be said about 9/11 and the atrocities that goes hand in hand with it. 9/11 isn't called ‘Day Zero’ for nothing. Not only is it the start of Prophetic Calendar synch but it is also the start of the final punishment for humankind that will end with the sun distributing Great Tribulation from the sky. This article is not about predicting the end of the world as a lot of so-called doomsday prophets do. This earth is a too precious piece of artwork from the hands of God to be destroyed again. It’s the Babylonian status quo that has to be destroyed. It’s misdirected (by Satan) humankind that will have to be rerouted. The Calendar will roll on until Jesus of Nazareth Himself returns (4th Coming) and even to the end of His 1000 (1200) year rule. Then humankind will leave these temporal shores and be subjected to the Divine Calendar. What is needed now is for the world to be stirred up from its sleep (see 1The.5:1-7) and be wakened to greet a glorious New Day. Although 9/11 happened in America and that was a sign for the Rebirth of the Christians, the rest of the world was also drawn into this bloody and traumatic birth. Like the crucifixion of Jesus Christ and that of the Jews were not “private” affairs, the effect of this atrocity rippled to the ends of the earth, and thus also marked the Rebirth of all the other Tribes of the Eschatological Israel. After 9/11 the world is ready for its Baptism/Circumcision. We will discuss that in the next article.